Due out in late September alongside free update. 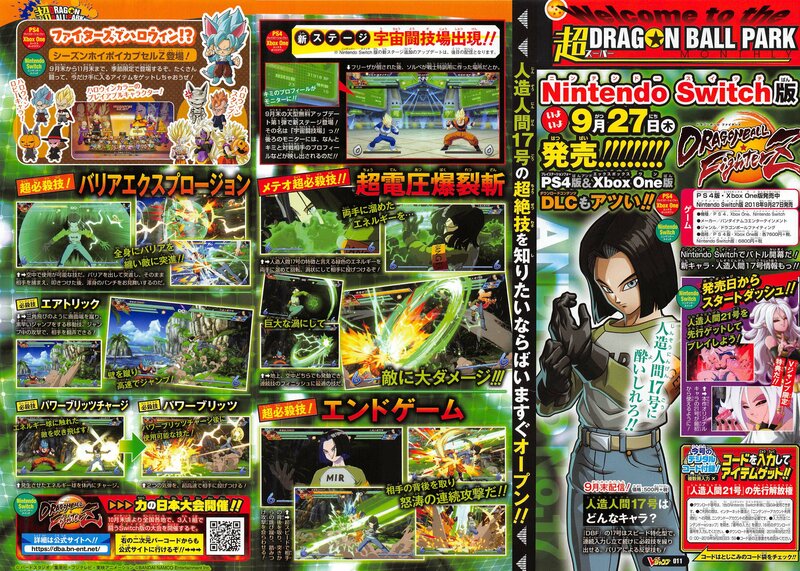 Dragon Ball FighterZ will add Android 17 as a playable character via paid downloadable content in late September for $4.99 / 500 yen, the latest issue of V-Jump reveals. A free update for Dragon Ball FighterZ will be released alongside the Android 17 add-on in late September. It will include the new stage “Space Arena” on PlayStation 4 and Xbox One (and presumably PC—V-Jump does not cover PC titles). The Switch version of the stage will be released at a later date. Additionally, seasonal Z Capsules featuring Halloween outfit-themed lobby characters and stamps will be distributed until late November. Update 1:30 p.m.: Added scan, via @YonkouProd.